– First make your meat and sauce mixture by sauteing beef and sausage. – Dice onion and pepper. Add to the meat, with cumin and tomato sauce. – Mix together cheeses, egg, and pepper in a bowl. 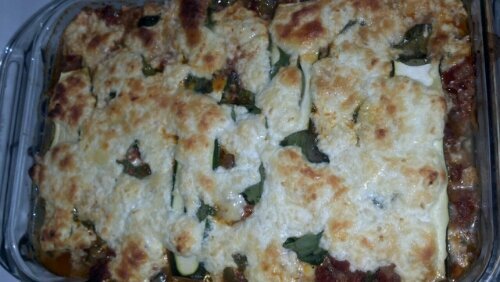 – Cut Zucchini as thin as possible long ways to mimic lasagna noodles. – Put at layer of sauce mixture in the bottom of an 3 qt glass baking dish. 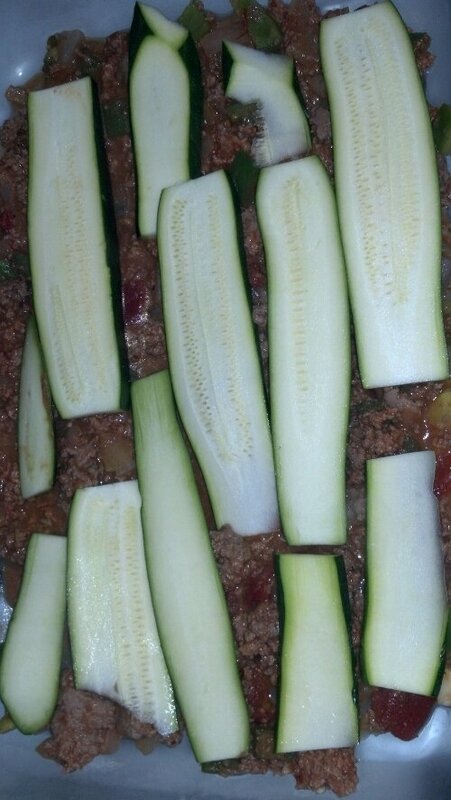 – Lay sliced zucchini side by side lining the dish. – Add a layer of cheese mixture. 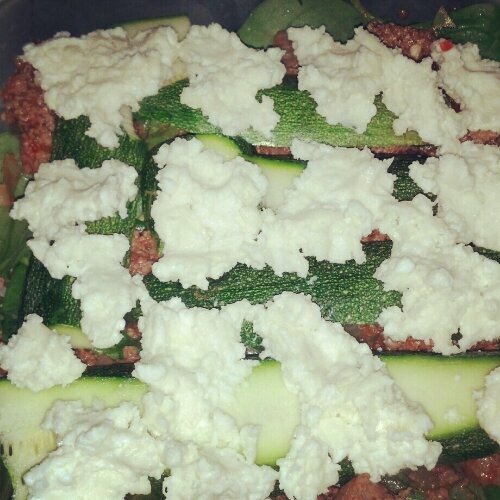 – Add a layer of spinach. – Add another sauce layer. – Top with remaining sauce. – Top with remaining cheese. – Bake in the oven at 350 degrees for approximately 60 min or until cheese melts and browns on top. One serving has 400 Calories, 9.3g Carbs, 1.6g Fiber, 20.2g Fat, and 44.4g Protein. Much better than your average Lasagna!! Made this last night, added some portobello mushrooms…delicious!!!!! Would recommend this to anyone looking for a great vegetable lasagna! Awesome!! I’m so glad you liked it! I bet mushrooms would be an awesome addition! !